Heavy mapreduce jobs may run for several hours. There can be several jobs and checking the status of mapreduce jobs manually will be a boring task. I don’t like this J. If we try to manage java programs using a script, it will not be a clean approach. Using scripts for managing java programs is bad approach. I consider these kind of designs as worst designs. My requirement was to get notification on completion of mapreduce jobs. These are some critical mapreduce jobs and I don’t want to frequently check the status and wait for its completion. By setting these properties, hadoop sends an http request on completion of the job. We need a small piece of code for creating a webservice that accepts this http request and send email. For creating the webservice and email utility I used python language because of simplicity. Once the mapreduce job completes, it sends an http request to the URL mentioned by the configuration job.end.notification.url. The variables jobId and jobStatus will be replaced with the actual values. Once a request comes to the webservice, it will parse the arguments and call the email sending module. This is a very simple example. Instead of email, we can make different kind of notifications such as sms, phone call or triggering some other application etc. The property job.end.notification.url is very helpful in tracking asynchronous mapreduce jobs. We can trigger another action also using this trigger. This is a clean approach because we are not running any other script to track the status of the job. The job itself is providing the status. We are using the python program for just collecting the status and making notifications using the status. The python code for the webservice and email notification are given below. Namenode is the heart of the hadoop cluster. So namenode will be installed in a good quality machine compared to the other nodes. If we want to migrate namenode from one node to another node, the following steps are required. This is a rare scenario. Execute the following command to save the currrent namespace to the storage directories and reset editlogs..
Login to the namenode host. Navigate to the namenode storage directories. Copy the namenode metadata. Always better to keep this as a compressed file. Notedown the folder and file permissions & ownership. Take a back up of the configuration files. Install namenode of the same version as that of the existing system to the new machine. Ensure that the ipaddress of the old host is taken and assigned to the new host. Create namenode storage directory structure in the new host. Maintain the same folder permissions and ownership in the new host also. If there are any changes in namenode directory structure, make the corresponding changes in config files. Incase of a kerberised cluster, create appropriate principles for the new host and place the proper keytabs. 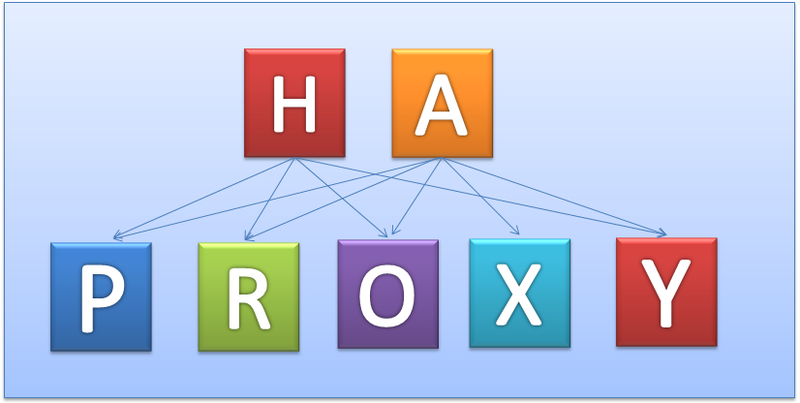 Test the working of the cluster by executing file system operations as well as MR operations. If you are using cloudera manager 5.4 or above, there is a new feature known as Namenode Role Migration that helps us to migrate namenode from one host to another. This requires HDFS HA to be enabled. In impala while running queries over large data, sometimes we may get an error like this. One of my friends faced this issue and on investigation I found that this issue is because of the unexpected deletion of files inside the impala scratch directory. The intermediate files used during large sort, join, aggregation, or analytic function operations are stored in this scratch directory. By default the impala scratch directory is /tmp/impala-scratch. These directoroes will be deleted after the query execution. The best solution for this problem is to change the scratch directory to some other directory. This can be done by starting the impala daemon with the option –scratch_dirs=”path_to_directory”. This directory is in the local linux file system. Not in the hdfs. Impala will not start if it is not having proper read/write access to the files in the “scratch” directory. Big Data is very hot in market. Hadoop is one of the top rated technologies in big data. Hadoop became very popular in the market because of its elegant design, its capability to handle large structured/unstructured/semi-structured data and the better community support. Hadoop is a batch processing framework that can process data of any size. The only thing Hadoop guarantees is it will not fail because of load. Initially the requirement was to handle large data without any failure. This led to the design and development of frameworks such as hadoop. After that people started thinking about the performance improvements that can be made in this processing. This led to the development of a technology called spark. Spark is an open source technology for processing large data in a distributed manner with some extra features compared to mapreduce. The processing speed of spark is higher than that of mapreduce. 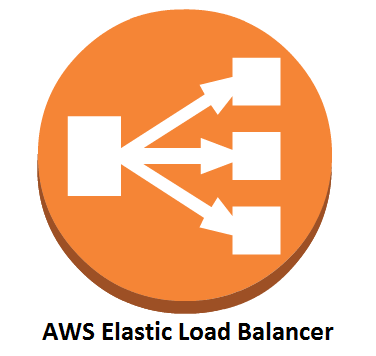 Most current cluster programming models are based on directed acyclic data flow from stable storage to stable storage. Acyclic data flow is inefficient for applications that repeatedly reuse a working set of data. The main motivation behind the development of spark is because of the inefficient handling of two types of applications such as Iterative Algorithms and Interactive data mining tools in the current computing frameworks. With current frameworks, applications reload data from stable storage on each query. If the reload of the same data happens multiple times, it will consume more time. This affects the processing speed. If this happens in case of large data processing, the time loss will be high. If we store the intermediate results of a process in memory and share the in-memory copy of results across the cluster resources, the time delay will be less which will results in performance improvement. In this way we can say that the performance improvement is higher with in-memory computations. The inability to keep intermediate results in memory is one of the major drawback in most of the popular distributed data processing technologies. This is requirement of in-memory computation is mainly in iterative Algorithms and data mining applications. Spark achieves this in memory computation with RDDs. The back end of spark is RDD (Resilient Distributed Datasets). RDD is a distributed memory abstraction that helps programmers to perform in-memory computation on very large clusters in an error free manner. An RDD is a read-only, partitioned collection of records. An RDD has enough information about how it was derived from other datasets. RDDs are immutable collections of objects spread across a cluster. Spark is rich with several features because of the modules build on spark. 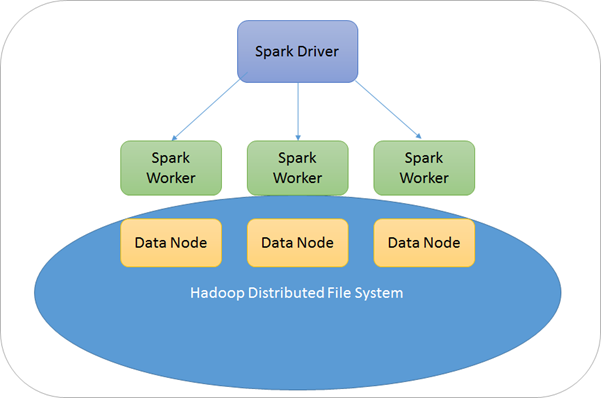 Is spark a replacement of hadoop ? Spark is not a replacement for hadoop. It can work along with hadoop. It can use hadoop’s file system-HDFS as the storage layer. It can run on the existing hadoop cluster. Now spark became one of the most active projects in the hadoop ecosystem. The comparison happens only with the processing layer-Mapreduce. As per the current test results, spark is performing much better than mapreduce. Spark has several advantages of mapreduce. Spark is still under development and more features are coming up. The realtime stream processing is better in spark compared to other ecosystem components in hadoop. The detailed performance report of spark is available in the following url. Is Spark free or Licensed? Spark is a 100 % open source project. Now it became an apache project with several committers and contributors across the world. What are the attracting features in spark in comparison with Mapreduce ? Spark is having Java, Scala and Python APIs. Programming spark is simpler as compared to programming mapreduce. This reduces the development time. The performance of spark is better compared to mapreduce. It is best suited for computations such as realtime processing, iterative computations etc on similar data. Caching is one main feature in spark. Spark stores the intermediate result in memory across its distributed workers. Mapreduce stores the intermediate results on disk. The in memory caching feature of spark makes it faster. The spark streaming provides a realtime data processing feature on the fly of data flow which is missing in case of mapreduce. With spark, it is possible to obtain batch processing, streaming processing, graph processing and machine learning in the same cluster. This provides better resource utilization and easy resource management. Spark has an excellent feature of spilling the data partitions to disk if the node is not having sufficient RAM for storing the data partitions. All these features made spark a very powerful member in the bigdata technology stack and this will be the one of the hottest technologies that is going to capture the market.